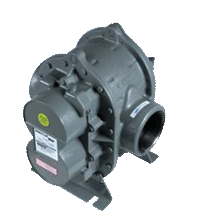 The 32 URAI DSL blower has a 3.5 inch gear and a 2 inch rotor length. The NPT connection is 1.25 inches with a shaft diameter of 0.75 inches. Please refer to the installation and operation manual for more technical information about model 32 URAI DSL. For better assistance with ordering model 32 URAI DSL please contact air blower services.